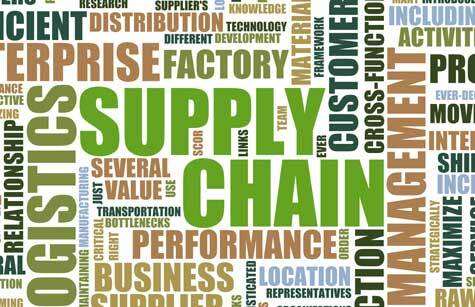 The quality and timeliness of your supplier can greatly affect your product or service. As a result, you want to make sure your supplier relationships are positive and you're being set up for success. Are your suppliers setting you up for failure? If you're not careful, your suppliers can get you in trouble, leading you down a path to low profitability and an unhappy customer base. Here are a couple of critical questions you should be asking yourself. Are your suppliers delivering goods as promised? Are the materials they are sending in the condition they were promised? The answer to both of these questions should definitely be yes, but it can be difficult for the small business to accurately assess these important questions. Larger businesses have strong receiving functions and the buyer power to demand high quality. Too often I see small businesses crunched for time that accept product from their suppliers without checking the quality. In addition, if the small business finds a problem, the cost of rectifying the situation can be greater than the cost of the lost product. As a result, the quality of your suppliers is a critical issue that needs to be taken seriously by any small business. When choosing a supplier, many small businesses base their decision on cost alone. If they can get the same raw material cheaper from another vendor, that's their final decision. The problem with this line of thinking is that it ignores the quality of the product and the service level of the supplier, both of which can adversely affect the cost of producing your product or service. It is critical that the small business chooses their supplier based on a number of factors, not cost alone. If you are not 100% confident or familiar with your supplier, inspection upon receipt has to be included in your operation. This should also be accounted for when considering the overall cost of an individual supplier. Inspection should include a visual count as well as a sample of products tested for quality. If there are deficiencies in the delivered material, the sooner it can be brought to the forefront, the better. Ideally, rejected supplies can be sent back upon delivery or within 1 business day. Once the material has passed inspection, you still want to monitor the product as it is used in your production or service. If defects pop up, they can greatly increase the overall time of your operation or even worse, wind up with a defective product in your customer's hand. These are both high prices to pay for a poor supplier, further stressing the importance of having good suppliers. The more you see the ramifications of poor suppliers, the more you will recognize the value of service and reliability over initial cost savings. As you build a relationship with reliable suppliers, the inspection time becomes less and the paperwork and lead time involved with problems becomes easier. Working with suppliers to maintain positive relationships can be a key to your long term success. The cost of procurement is still a primary issue and even with your reliable suppliers, you want to know what competitors are charging so you can avoid price gauging. It is important to remember the costs of poor suppliers and defective parts, however, when making supplier decisions. I worked for a company that had the cheapest price for corrugated boxes I had ever seen. The problem was, the boxes were often sent defective, lead times were shaky at best and the boxes were low quality and resulted in many broken shipments. This negative vastly outweighed the pennies saved per individual box. After all, in a scenario where you are saving $.05 per box only to lose one shipment a week that costs $50 plus earns you a dissatisfied customer, it's clear the cheaper supplier is not worth it. Share your thoughts on small business supplier relationships.